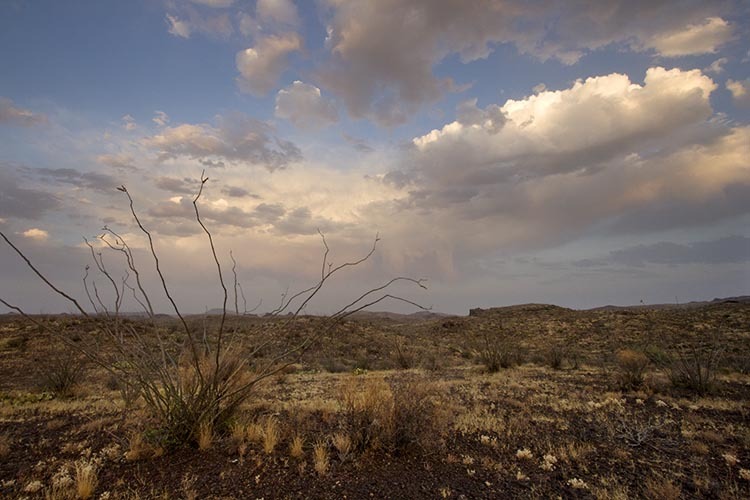 The Chihuahuan Desert is the most thickly vegetated desert in North America. Indeed, if you visit in during the rainy season you might wonder why it is called a desert at all. It hardly looks like a desert at all during the rainy season. Though for the most of the year the Chihuahuan Desert is not green, even in the most arid, empty spaces hikers must watch their footing carefully for most desert vegetation is well armed and intimate encounters are best avoided. In dry periods the land is brown and most of the plants look dead. But these plants aren’t suffering. They’re not “struggling to survive.” They’re just doing what desert plants do – quietly waiting for the next rain. 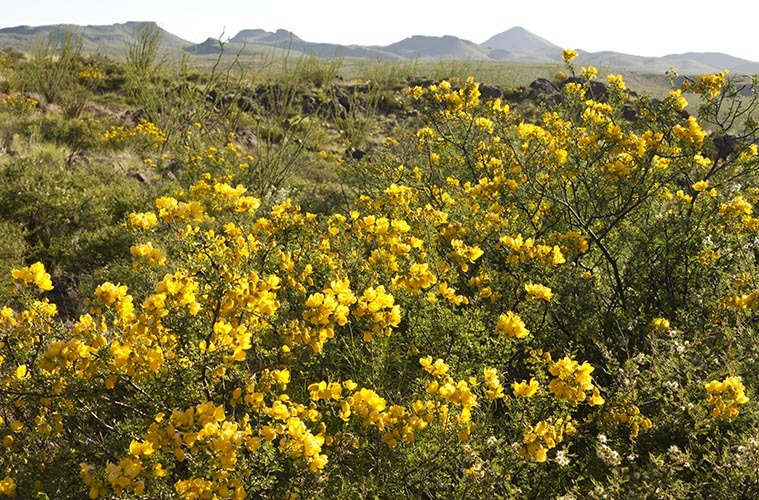 Desert plants have developed a number of strategies for living with the protracted dry periods and seasonally high temperatures that characterize the Chihuahuan Desert. 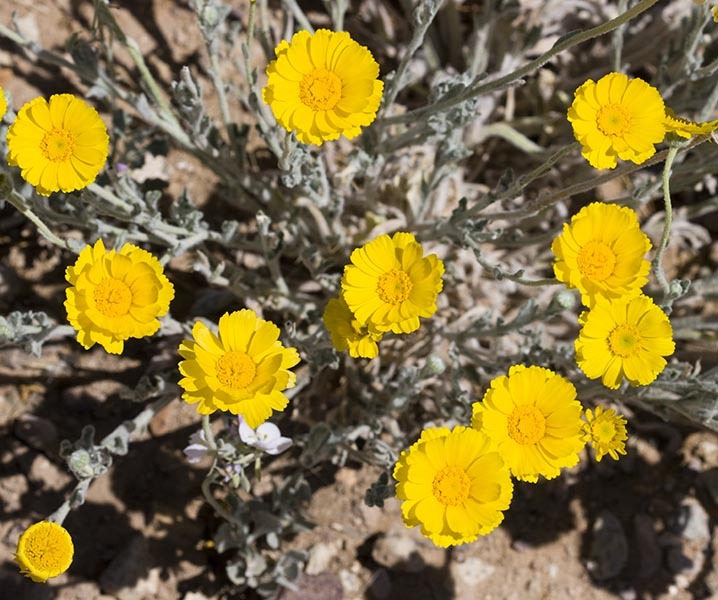 Some approaches are shared by most desert plants – others are more specialized. Among specialized adaptations, most plants have followed one of three different paths to success: succulence, tolerance, and evasion. Succulent plants are water hoarders. They store water in stems, roots, or fleshy leaves in special structures that are good at retaining moisture. 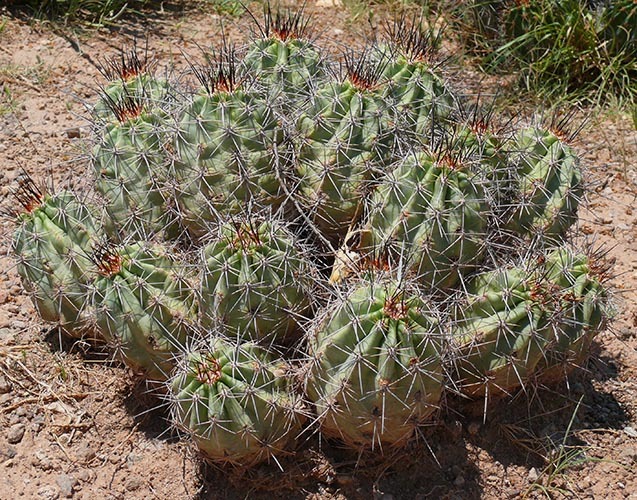 All cacti are succulents, but many non-cacti desert plants use the same adaptation. Succulents include agaves, aloes, and many euphorbias. Aside from storing water in their tissues, succulents have use other specializations to succeed. Succulents must absorb large quantities of water in short periods of time, but they cannot absorb water from soil that is not wetter than their own interiors. Since desert soils are rarely and only briefly wetter than the interiors of any plant, nearly all succulents have extensive, shallow root systems. These shallow roots come to life quickly at the slightest sign of rain, and they harvest water from the soil rapidly and efficiently. Most succulents have roots less than 4 inches below the surface with feeder roots that lie within half an inch of the surface. They spread out far from the mother plant – for example a two-foot-tall cholla may have roots over thirty feet long! A succulent such as a cactus looks very much like a bag of water to most thirsty animals, so succulents guard their water fiercely. Most are spiny, bitter, or toxic, and often all three. 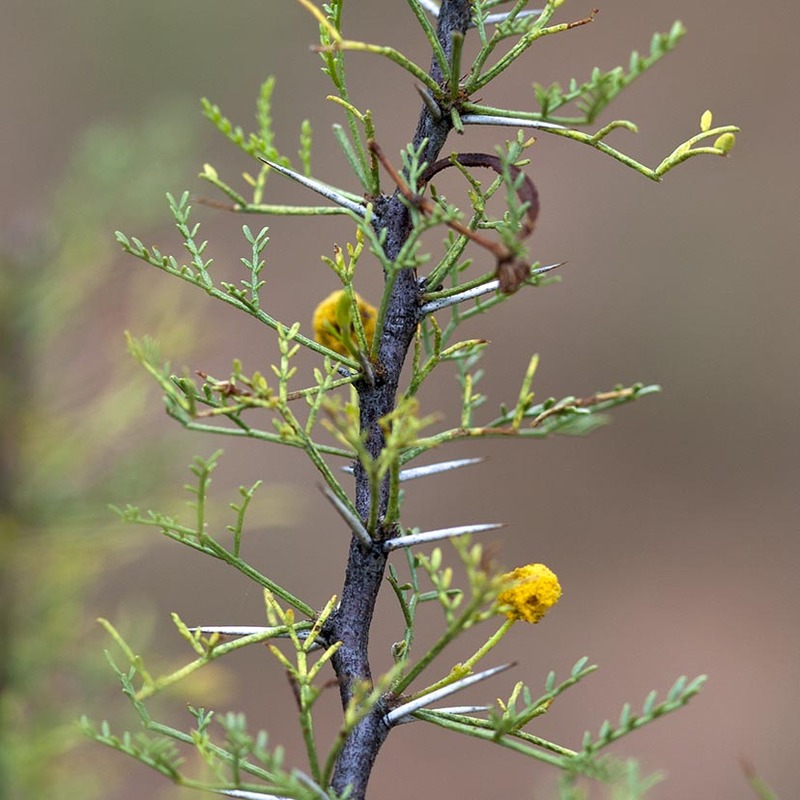 A few unarmed, non-toxic species exist, but they are usually confined to extremely inaccessible locations such as vertical cliffs or within the canopies of other spiny plants. The plant’s water is usually bound in extracellular musilages and inulins (soluable fibers) that release water only reluctantly, so even if part of the plant breaks off, it stays moist inside for a long time. Waxy cuticles make them practically waterproof when their stomata are closed; those that have leaves shed them quickly when the soil dries out. Many succulents also employ a special type of photosynthesis known as CAM for Crassulacean Acid Metabolism. Instead of synthesizing carbohydrates, they synthesize Crassulacean acid during the day while their stomata are closed and store it in their tissues. At night, when temperatures are lower and humidity higher, they open their stomata and break down the acids into carbohydrates using carbon dioxide from the air. CAM is extremely efficient at using water. Plants that use it consume only about 10% of the water other plants consume to synthesize the same amount of carbohydrates. The overall rate of photosynthesis is slower however, so CAM succulents are usually slow-growing. CAM plants are able to “hybernate” during dry times, recycling oxygen and carbon dioxide to conduct very low-level photosynthesis. Since they have not gone completely dormant, CAM plants can resume growth within 24 to 48 hours after a rain. An agave can sprout new roots within 5 hours of a rain, whereas dormant shrubs usually take two weeks or more to revive. Instead of storing water, some plants simply dry out, lose their leaves, and appear to be dead. In this condition, drought-tolerant plants reduce their metabolisms to near zero when it is dry, but they are ready to resume growth as soon as the rains arrive. 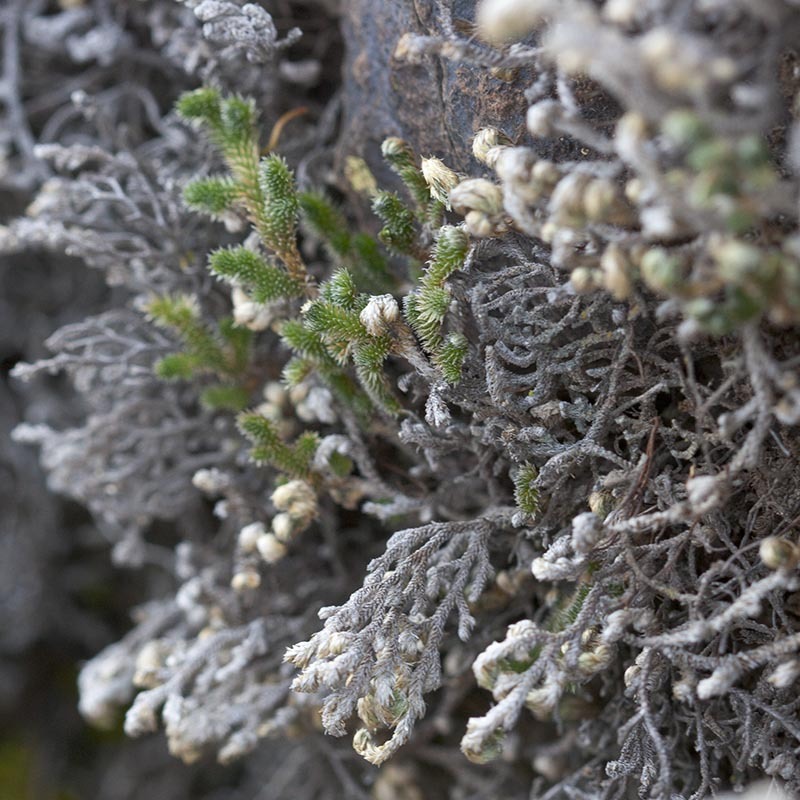 Some shrubs can become dry enough to use for kindling, yet they are alive. They often shed leaves during dry spells, and those that keep them usually have resinous or waxy coatings that retard water loss. Desert ferns can become completely dehydrated without dying. Drought-tolerant plants usually have more extensive root systems than their water-loving relatives, with roots extending to 2 or 3 times the size of the canopy. In addition to breadth, many grow very deep roots to reach moister levels of soil. These deeper roots can sustain growth for many weeks after a rain. Because drought-tolerant plants rely more on deeply buried moisture, they take longer to revive than succulents. In creosote bushes, traces of green may appear early after a rain but fully active new root systems and new leaves usually take 2 or more weeks to develop. Some plants simply evade drought. These plants die during dry periods, and rely on seeds germinating during future rains to preserve the species. In terms of species count, drought-evasive plants are the most successful adapters to desert climates. Seeds have almost no metabolism and possess great resistance to environmental extremes. Seeds appear to be remarkably “intelligent.” Most will only sprout under very specific circumstances such as a minimum amount of rain, a particular season, a temperature window, specific soil types and conditions and frequently some combination of the above. Even under the best of circumstances, not all seeds will germinate, for some remain dormant. Some bluebonnet seeds, for example, will not sprout until they have been in the ground 10 years. How seeds manage these remarkable feats is not clearly understood. Some plants are adapted in several ways. Ocotillo, for example, uses CAM metabolism and a broad, shallow root system like succulents. But it drops its leaves and dries out like a drought-tolerant deciduous shrub. Semi-succulent yuccas store some water in their leaves but also put down deep roots to obtain most of their water. Aridity affects many conditions important for plant survival. The clear dry air allows unfiltered sunshine from dawn to dusk. The solar radiation produces very high temperatures which are lethal to non-adapted plants. On the other hand, the dry air loses heat quickly at night allowing the temperature to drop dramatically. Nearly all leafy desert plants sport small leaves. At first it would seem that small leaves would not be useful. After all, they have a much higher surface-to-volume ratio than bigger leaves and so should lose water more rapidly. But this adaptation avoids overheating, and thus, water loss. Large leaves require transpiration through open stomata to keep cool – this is not an option during the hot months in the desert. Gardeners know that tomatoes must be shaded in desert environments or they will burn. They cannot evaporate water fast enough to keep cool. But small leaves can stay below lethal tissue temperatures of about 115 degrees on a calm day with stomata closed. Finally, there are some desert plants that are not really adapted to dryness at all. They survive by growing long roots that remain in the water table at all times. 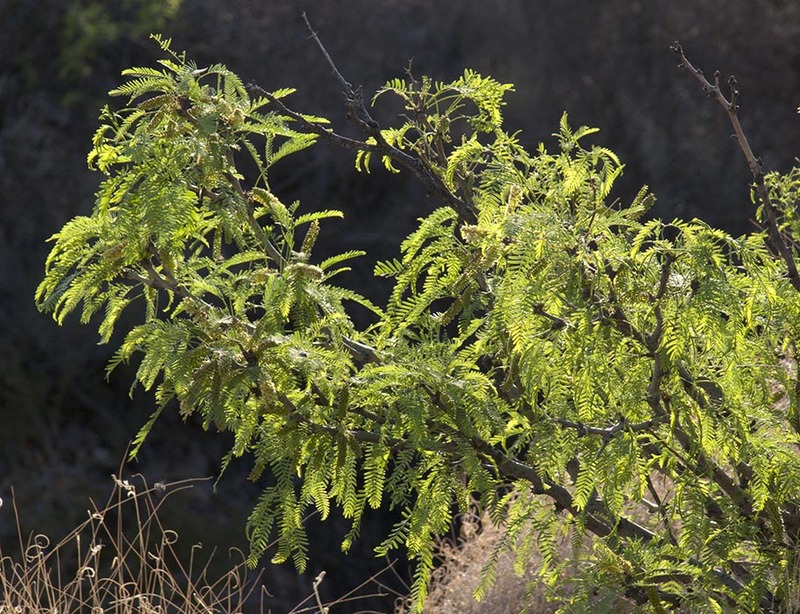 The mesquite is an example of such a plant. Some sources say that Mesquite roots can descend to 200 feet, others say not so deep. The average is close to 40 feet – mesquites will die if the soil dries to this depth. 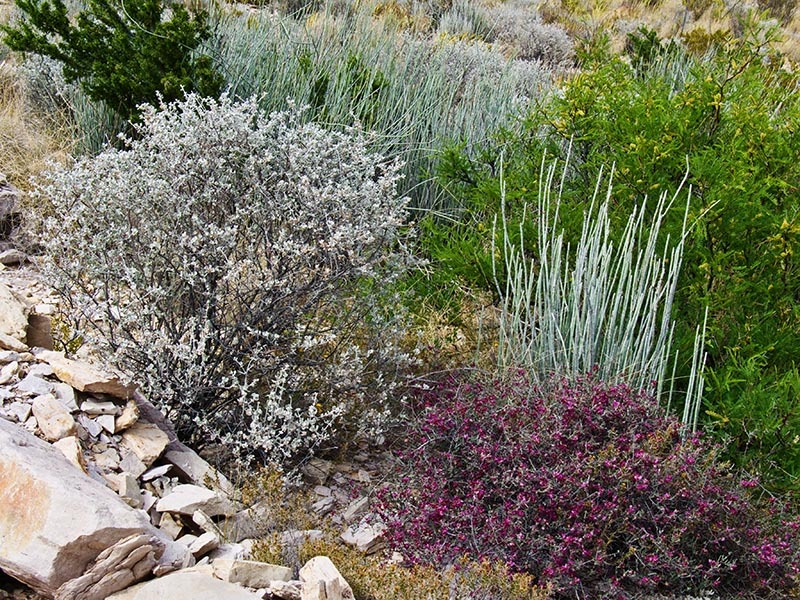 The Chihuahuan Desert is uniquely endowed with a rich variety of plant life, and the phases of their lives are easily observed. Watching plant life adjust to the seasons here can be one of the unique pleasures of living here in West Texas. 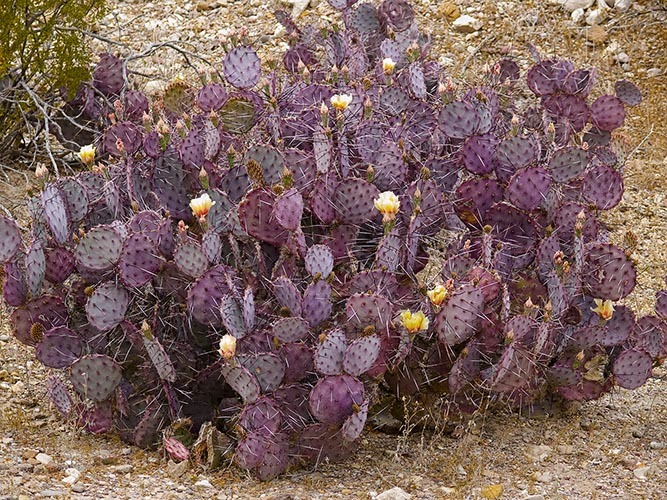 This entry was posted in Plants and tagged "Chihuahuan Desert", desert plants, desert vegetation, succulent plants. plant adaptations. Bookmark the permalink. very useful document, thank you very much! This is very informative — especially I appreciated the part about Crassulacean acid metabolism photosynthesis. WOW! In a July publication I will have a science article focusing on how desert critters (rats, rabbits, roadrunners, and rattlesnakes) are fitted to fill xeric habitats, but your research shows how plants are also similarly amazing. Thanks! I Really Think This Is Good For My Desert Reserch But Would You Help Make Sentences In My Own Words??? Since most desert plants have small leaves, what would you suggest for cooling the desert soil, in order to re-vegetate deserts? a large scale solution that depends on plants. truly interesting thank you for such a clarifying article! I don’t know much about un-desertification, but I can tell you that you can look under almost any desert shrub, including creosote and find young plants using the shade they produce. Some landowners now are cutting shrubs, rolling them up into lightly compressed cylinders, wrapping them with some sort of cloth or binder, and digging very shallow ditches (3-4 inches) to hold them in place. Invariably, all sorts of grasses and other plants come up in the shade near the bottom of the roll. thank you i was so confused but i have one question is desert plants are short or large? informations are informative. if it would have put in form of points it would have more impressive. biology in america is so hard u english peeps are so easy!!!! You did a good work ! A plant looks like a bag of water to most animals. Plants that aren’t poisonous or spiny wouldn’t last long out here. only just saw this website. Am in need of help! I need examples of both animals and plants who have adapted to desert conditions with specific plant/animal names to go with them. Eg. Succulents-(insert species name)-(how it has adapted).. Please help me! Sorry, but somehow I never got a notice that you’d written. However, all the plant and animal adaptations I’ve written about are here. please help me to find out new varieties of desert plants. I’m delighted to hear it. Send your friends. Let me know if there are other desert-related subjects you need to learn about! thank you my homework is finished!!!!! !